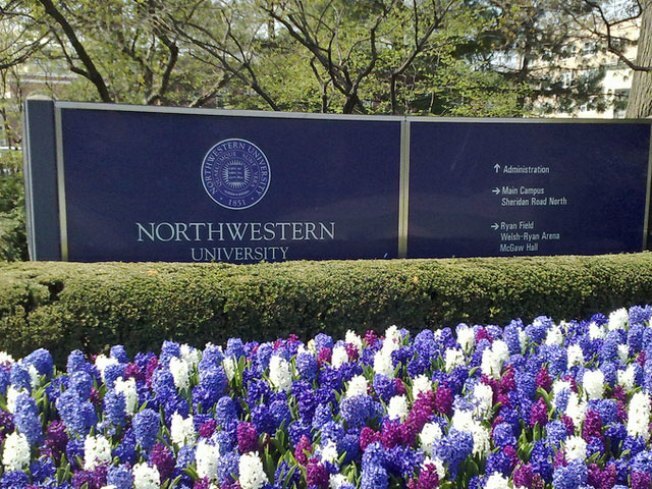 A journalism student at Northwestern University is suing the university, claiming the school failed to act on a sexual harassment complaint she filed against a professor two years ago. The student, who is now a junior, charges that Professor Peter Ludlow gave her alcohol and fondled her during a trip to an art show in downtown Chicago in February 2012. She alleges that he ignored her pleas to be taken back to Evanston, and took her to his apartment, where she eventually passed out and woke up in the professor's bed. The lawsuit states that after the woman aired her complaints, the University's Director of Sexual Harassment Prevention, Joan Slavin, concluded that Ludlow "engaged in unwelcome and inappropriate sexual advances," but that she continued to encounter him on campus, and that the University provided no evidence of any "disciplinary and corrective actions." While no documentation is provided, the suit alleges that "a committee was established to determine what action should be taken against Ludlow. ... the committee determined that Ludlow should be terminated." However, "Northwestern ignored its own committee's decision and recommendation and continues to employ Ludlow as a professor." The woman says she suffered severe health effects, and even attempted suicide as a result of "stress and trauma". "We don't comment on pending litigation, but the University has policies and procedures in place to protect our students, and to address any such reported concerns."